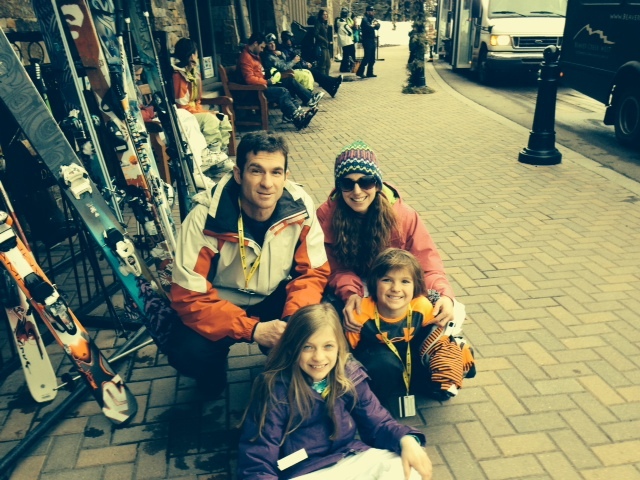 We just returned from our annual ski trip — the first ever we’ve attempted with all three kids. It would have been a disaster had we not brought the grandparents with us to share the load. 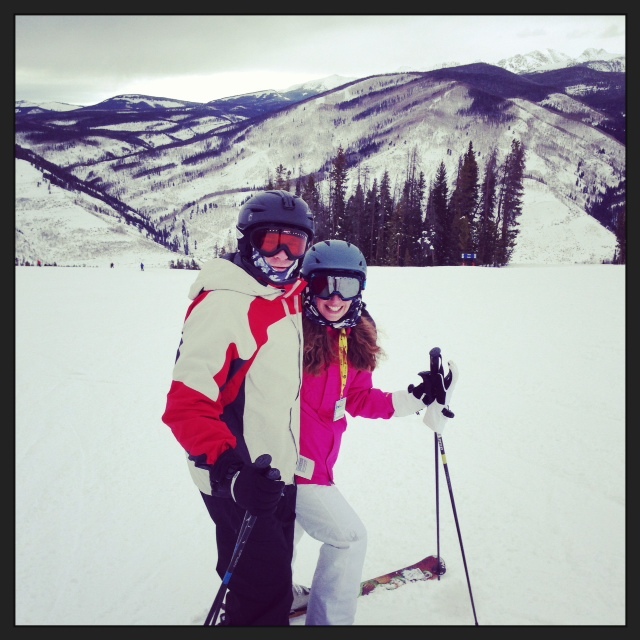 Jeff and I got one half-day to ski together while the older kiddos did ski school. This was awesome. How is it that three hours flew by in like 30 seconds? 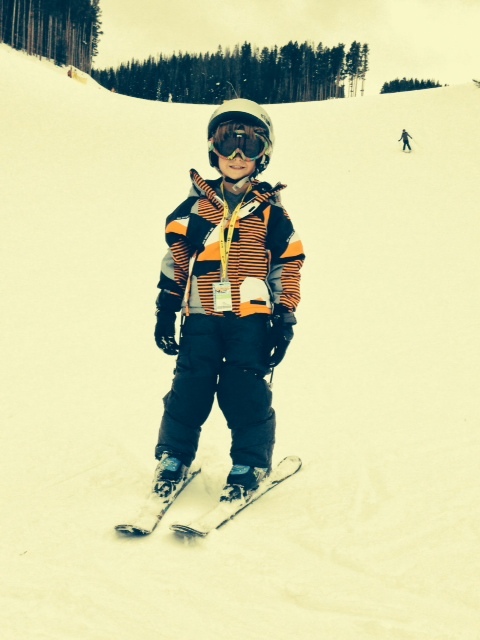 Carter was the Bode Miller of our family. At one point we heard him tell someone he was going to the Olympics one day. I wonder if they’ll let him do the “pizza” wedge down the speed course? 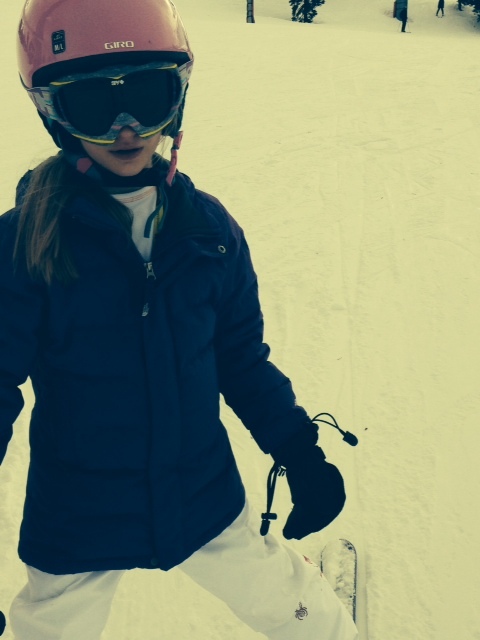 Kate was too cool for school — totally bored by skiing with our family because we were too slow and stopped too much (to wait for her brother). Here she’s showing how thrilled she was by trying to run away from my camera. Here we all are — too tired to actually stand up for our final photo. 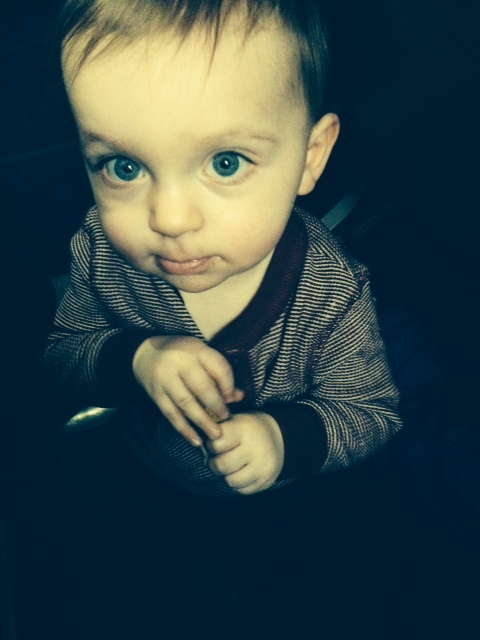 Oh, and here’s Baby C. You can’t see it but he’s entertaining himself with a tube of Chapstick. He did this the whole flight home — opening and closing, dabbing some on his cheeks/nose/lips, opening and closing some more. Chapstick is the only reason we had a peaceful flight home. I love you Chapstick. Anyway, I just hit the grocery store to supplement the rotten apples and expired milk in our fridge. Back Thursday with some yummy stuff (that doesn’t involve either of those).